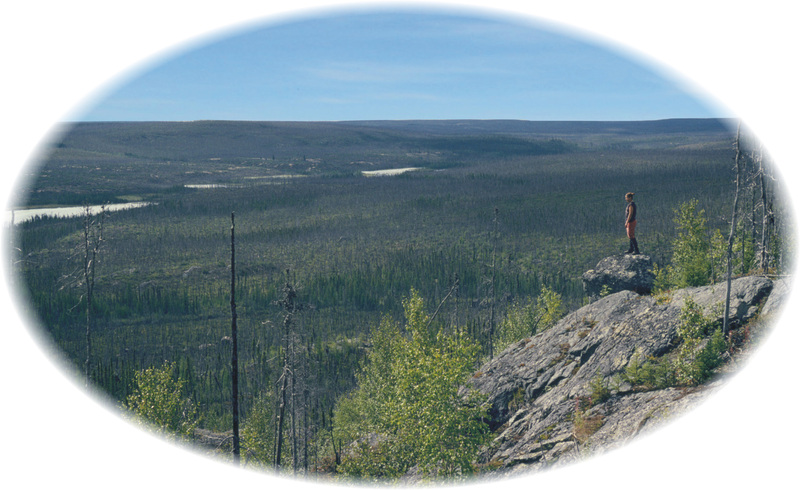 We are a northern people, living in a diverse landscape of rocky wilderness and rolling parkland, covered by boreal forest and strewn with countless lakes and rivers. We are tied to our geological landscape - or geoscape - regardless of whether we live in communities or on the land. Life in past centuries was simple, with the land providing food and clothing for our families and wood to heat our shelters. Today, life is more complicated, but the land still provides us with the materials to build our homes, the energy to heat them and the food that sustains us. Our ancestors understood how to gain advantage from their geoscape: eskers and rivers served as travel routes; rocks were used in tool making; and iron minerals provided pigments in paints used for petroglyphs. The advances of technology in our lives: the coming of electrical power, roads, and motor vehicles, have increased our level of comfort. These technological advances have resulted from an enhanced understanding of the geoscape and Earth's natural systems. The Earth provides our needs, but as custodians of this land, we are also responsible for its care. Geological Highway Map of Saskatchewan. Illustrated with 60 photographs and figures of roadside geological features. Available through the Saskatchewan Geological Society at Box 234, Regina, SK S4P 2Z6, or Tourism Saskatchewan. Geological History of Saskatchewan Millennium Edition by John Storer. 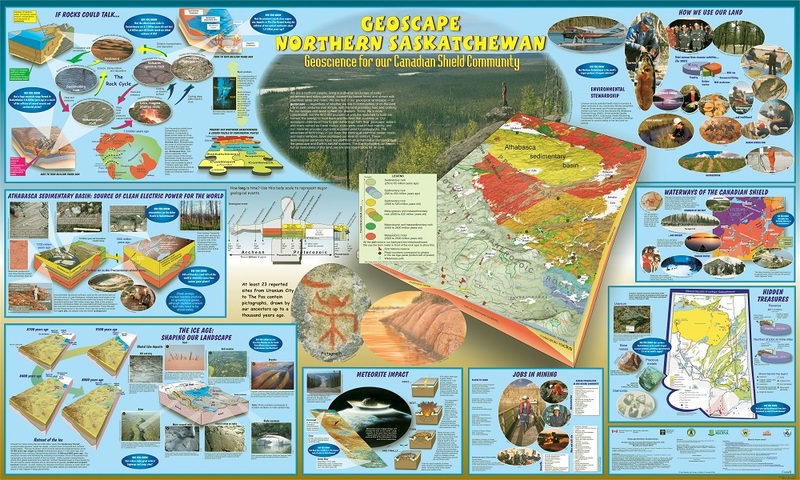 A richly illustrated review of Saskatchewan’s landscapes through geological time. 90 pages. Available through Royal Saskatchewan Museum (see web site address below).